As I sit here typing, it's 12° F outside and the fierce winds have died down for the moment. 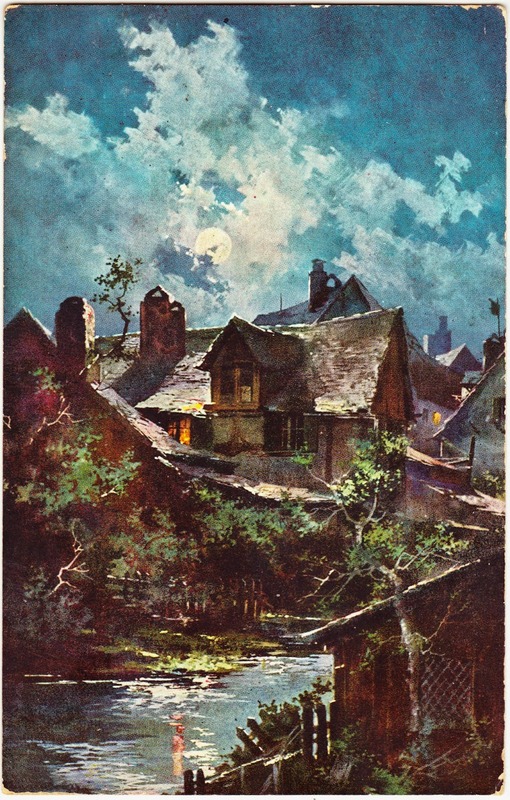 Here's an early 20th century postcard featuring a painting of a cloudy summer night, with a full moon shining through the overcast sky and down onto some riverside rooftops. Linden Hall is a girls' school (founded in 1746) in northern Lancaster County. I suppose it's possible that it once had its own post office. There was a Linden Hall in Centre County, Pennsylvania, which thrived until the 1920s. It definitely had a post office around the turn of the century. It is now the Linden Hall Historic District. I don't have a great guess as to which of those two it might be. 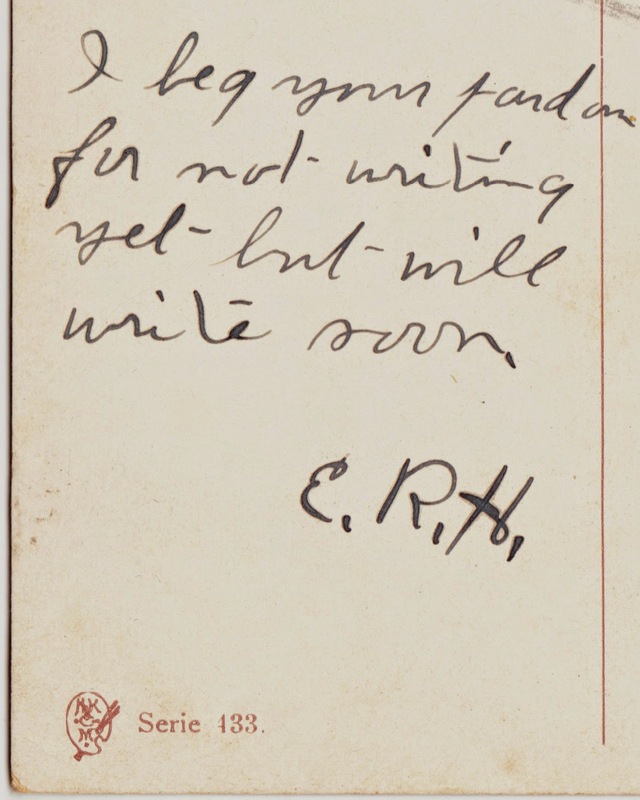 The split-back postcard is addressed to Miss Bertha Tressler of Linden Hall and the short message is: "I beg your pardon for not writing yet but will write soon. E.R.H." Yes, another one of those postcards to indicate that a longer correspondence is on the way. Another mystery of this postcard is the publisher. This is the tiny logo on the back. It might be H.K. & M. Some sources indicate that it's Hubert Kohler & Co. of Munich, Germany. I'm voting for Linden Hall in Center County for this postmark. I graduated from Linden Hall in Lititz a long time ago, and I never heard that the school ever had its own post office. We had individual mail boxes but they were only for sorting.